Years ago, the main medium of information used to be print; books, pamphlets, newspapers, etc. Nowadays, however, we have all been conditioned to respond to visual mediums of information as primary sources of learning. If you are in the restaurant business, no doubt you want to adapt your employee training methods to best fit the learning styles of the incoming workforce. What are some specific reasons why video-based learning is such a critical part of effective learning management? According to the School Tutoring Academy, "The majority of students in this generation of technology and change are visual learners. They learn information best by seeing it in an example format, like a ... video." That holds true for your new employees as well. 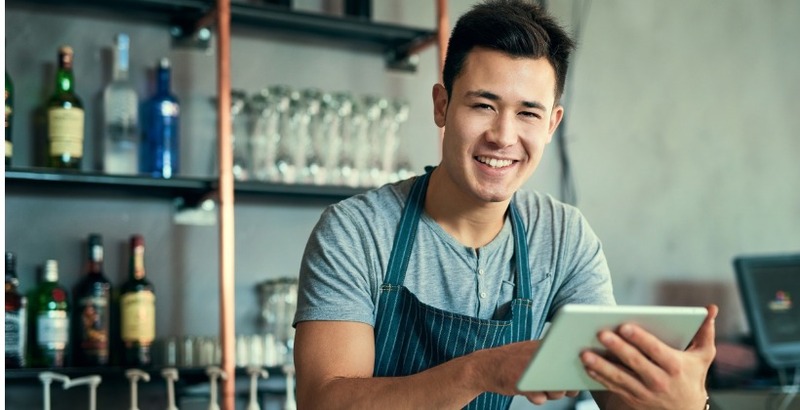 For example, it is often much easier for new restaurant employees to remember how to describe menu items, how to run registers, and how to react to customer complaints if these areas of training have been reinforced through video demonstrations. When it comes to training your employees with video, the advantage of video-based learning is clear. With instruction processed at the visual level, and with specific examples or scenarios that are enacted for your employees' benefit, they will have a running start in making the transition from training to day to day duties. Let's face it: having to pore over paragraph after paragraph of printed information can very quickly become a tedious chore. However, when visual learning is integrated into the training curriculum, employees' engagement can be positively affected. As presented by the Vanderbilt University Center for Teaching, Dr. Richard Mayer coined the term "the personalization principle" as one critical aspect of effective multimedia instruction. According to this principle, "the use of conversational rather than formal language during multimedia instruction has been shown to have a large effect on students' learning, perhaps because a conversational style encourages students to develop [a] sense of social partnership with the narrator that leads to greater engagement and effort." How could you implement this "personalization principle" in your training? Perhaps you could create a likable or funny character that demonstrates how to handle certain duties in the kitchen through a video series. Or it may simply be a matter of making your video script as simple and uncomplicated as possible. Whatever the case, if you make it more interesting and more accessible, it will be more easily retained. Very often, new employees have to learn concepts in their training sessions that are either unfamiliar or completely foreign to them. If you train your employees with video, you may be able to increase their capacity for comprehending these difficult concepts. As an example, a new hire at a restaurant may have a handbook on how to operate that $2,000 cappuccino machine in the kitchen. The handbook may give detailed instructions, including a step-by-step process on how to make cappuccino. But more likely than not, he will be able to much more clearly understand what he has to do if he sees it demonstrated visually. And having the assurance that your employees are competent to operate more sophisticated equipment may save you some worry too! Without a doubt, training employees with video is an excellent way to aid memory, to actively engage their interest, and to effectively impart an understanding of core concepts. Check out our guide, New Year, New Technology: 7 Ways to Leverage Video for Training and Operations in 2019 for further details on how to successfully implement video-based learning for your company.